Greece and its international lenders have embarked on a battle over the country's staggering debt. The new Greek government, led by left-wing party Syriza, wants the debt reduced and its terms renegotiated; its creditors are reluctant to forgive any debt, but may be prepared to talk about extending the deadlines for repayment. Analysts say some sort of restructuring might be necessary. Greek government debt stands at 323 billion euros ($366 billion), over 175% of the country's GDP. About 246 billion euros was lent by other countries in the eurozone, the European Central Bank and the International Monetary Fund -- otherwise known as the Troika -- to prevent Greece collapsing and crashing out of the euro. Syriza won the election after portraying the Troika as the enemy because of the tough austerity program it imposed on Greece in exchange for its money. So who stands to lose most? Most Greek debt is held by other eurozone countries. Around 53 billion euros was loaned through bilateral agreements, according to researchers at Open Europe. The Greek government would have to renegotiate these with each country individually. Some like France might be more willing to talk; others such as Finland have already said no. 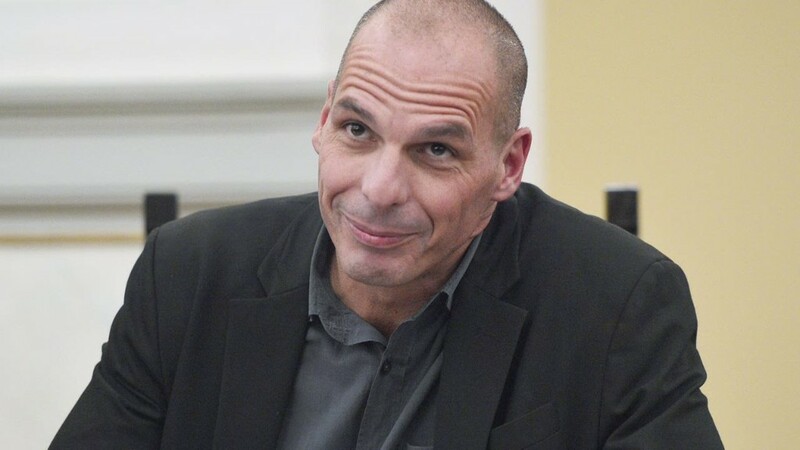 Related: Syriza won, so what's next for Greece? A far bigger chunk, 142 billion euros, came from the eurozone's bailout fund. Any relief on those loans would have to be agreed by all members. All eurozone countries chipped into the fund but by far the largest contribution -- 27% -- came from Germany, and it will exert huge influence in negotiations with Greece. The German government has so far rejected talk of a haircut, which would mean losses for its taxpayers. Germany's exposure to the bailouts totals 56 billion euros -- equivalent to roughly 700 euros per citizen. Related: Have 5 years of austerity paid off? 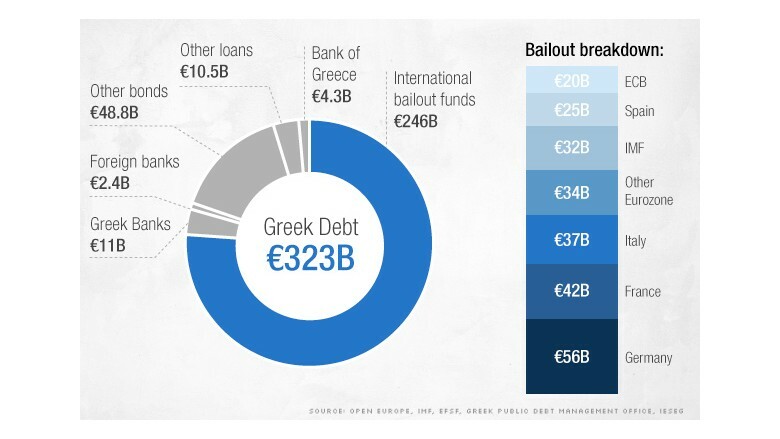 Greece owes the ECB and other eurozone central banks about 27 billion euros. The bank has already said it cannot offer any relief -- simply because it would be illegal. The clock is ticking on the ECB debt, with 6.7 billion euros due by August. The IMF holds 32 billion euros of Greek debt. It's very unlikely that it would agree to any kind of relief program. That's just not how the IMF plays its game. Even countries that defaulted on their IMF debt in the past, such as Argentina, ended up paying the IMF in full. Greece has to repay part of the IMF loan by March. A rollover might be possible, but IMF chief Christine Lagarde said Greece cannot expect any special treatment.